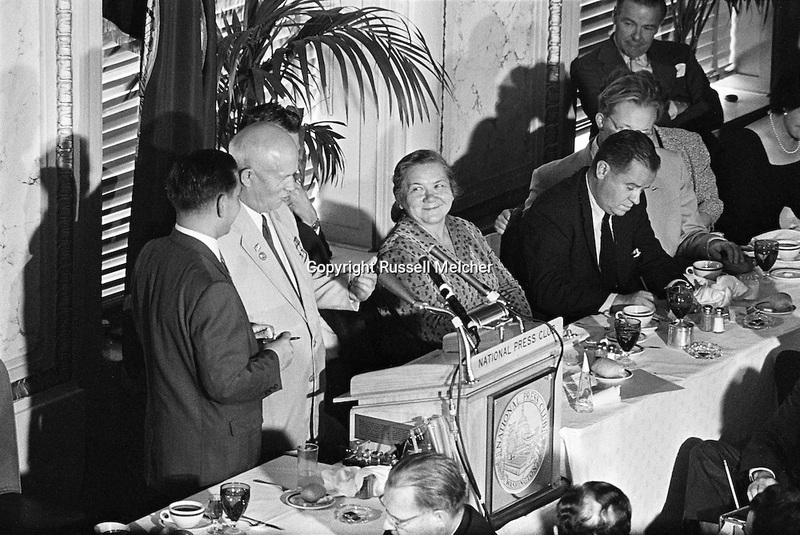 1959.Nikita Khrushchev speaking at a lunch at the Washington DC. Press Club. 1959. Nikita Khrouchtchev parlant lors d'un déjeuner au Club de la Presse de Washington DC .